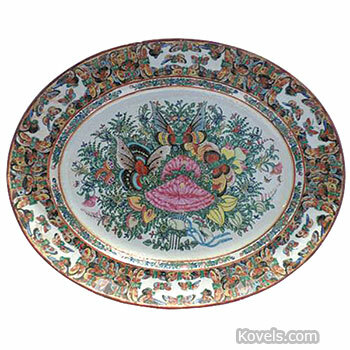 Rose Canton china is similar to Rose Mandarin and Rose Medallion, except no people or birds are pictured in the decoration. 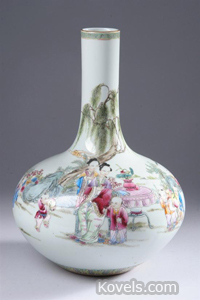 It was made in China during the nineteenth and twentieth centuries in greens, pinks, and other colors. It is seen less often than Rose Medallion or Rose Mandarin.